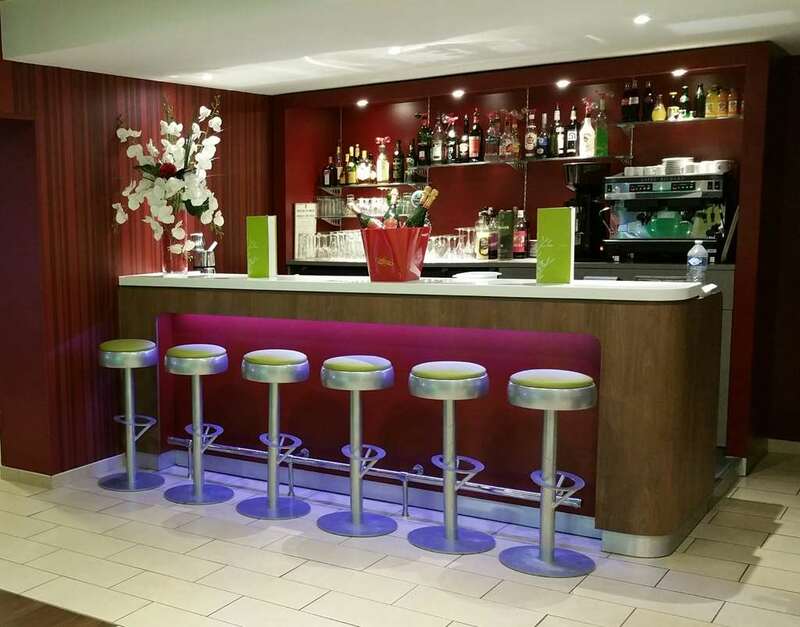 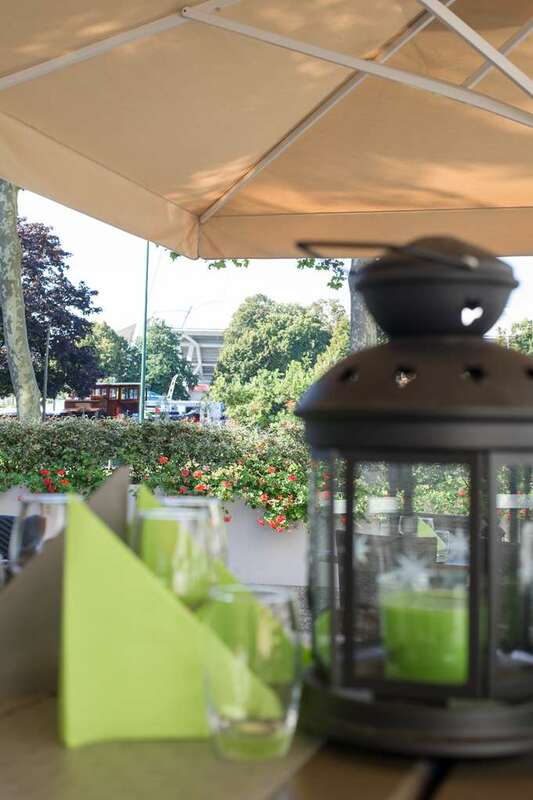 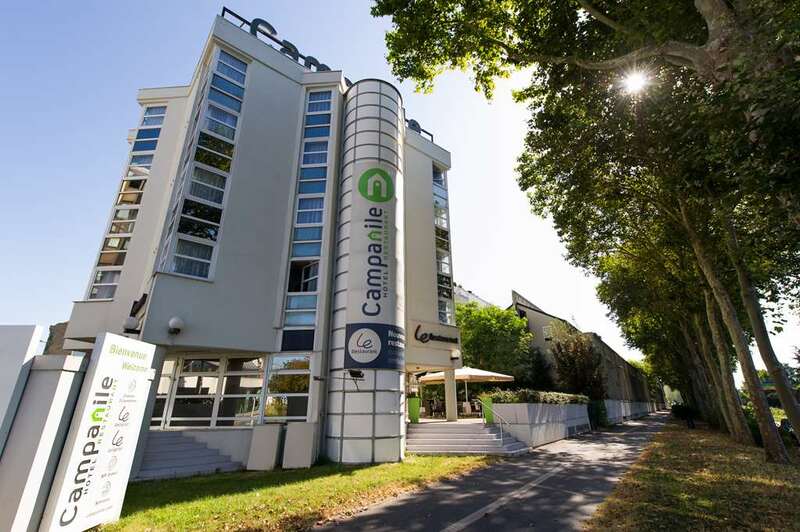 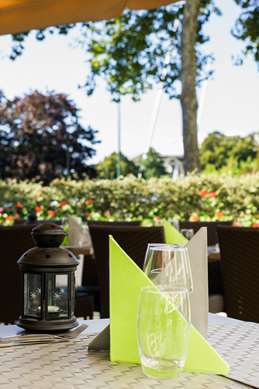 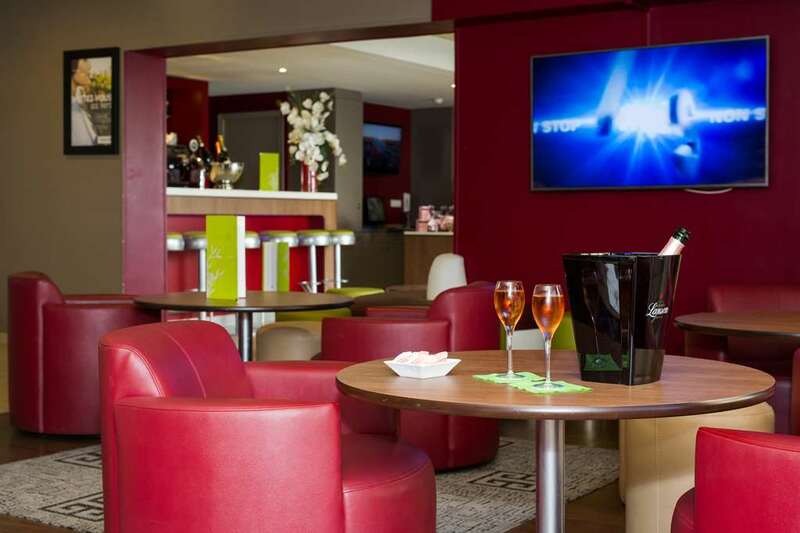 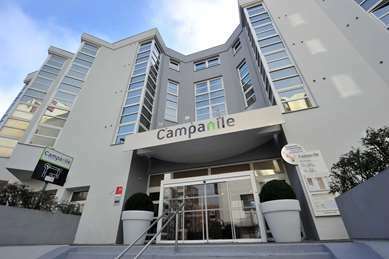 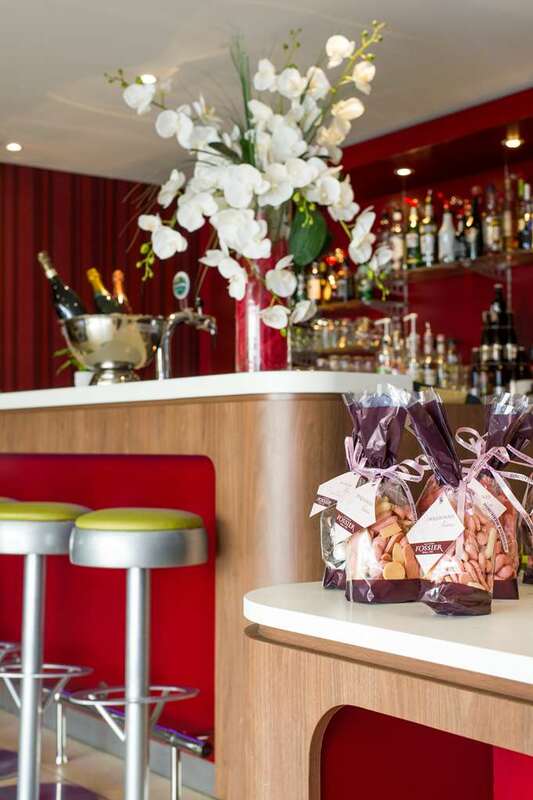 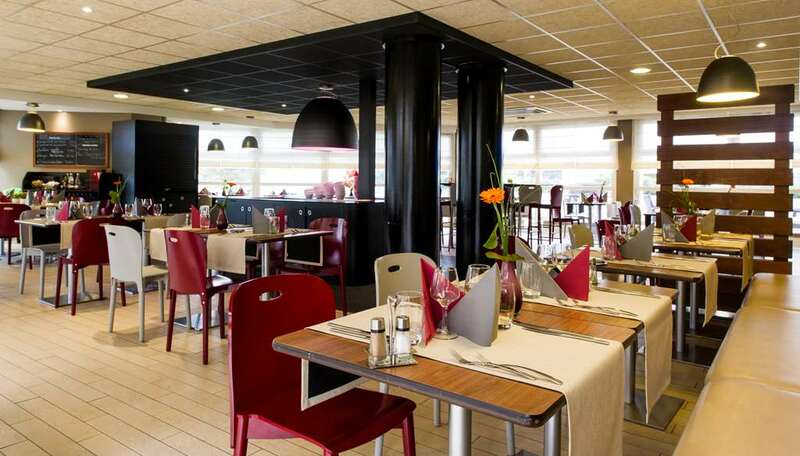 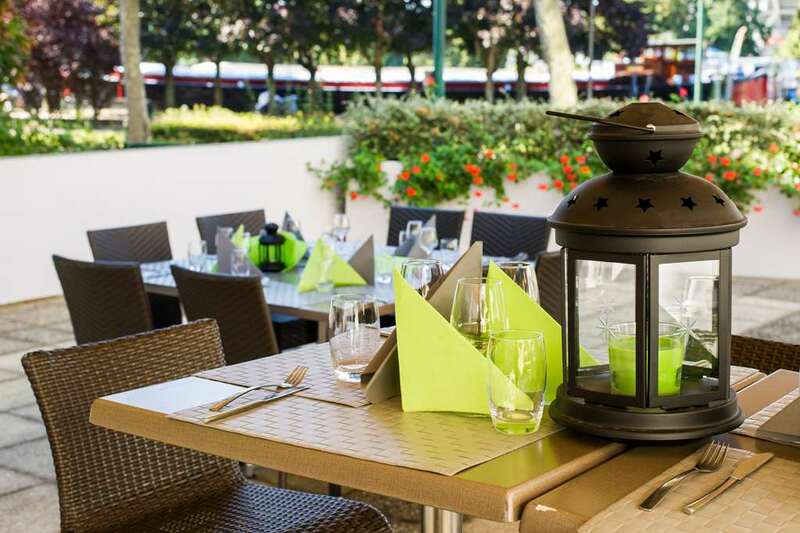 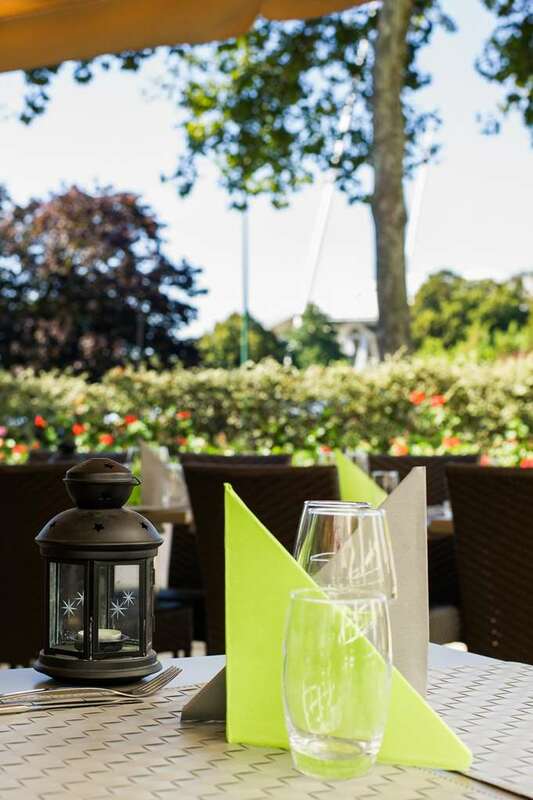 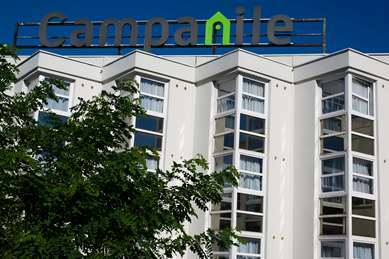 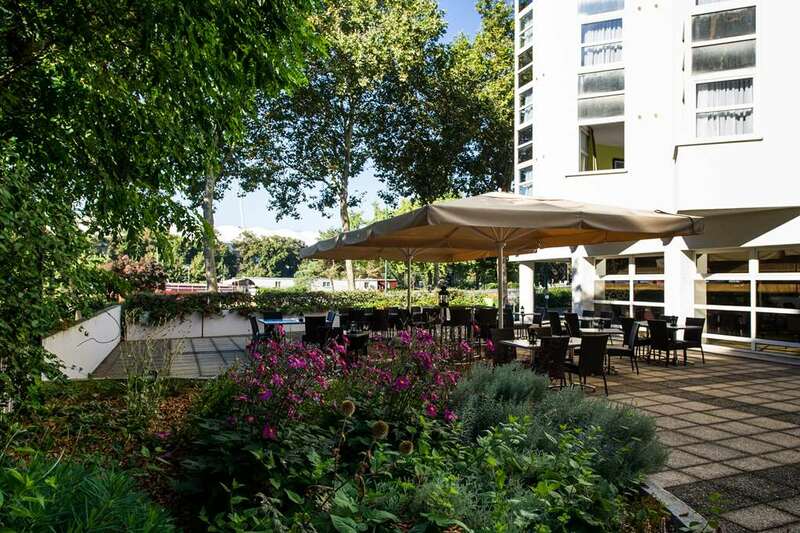 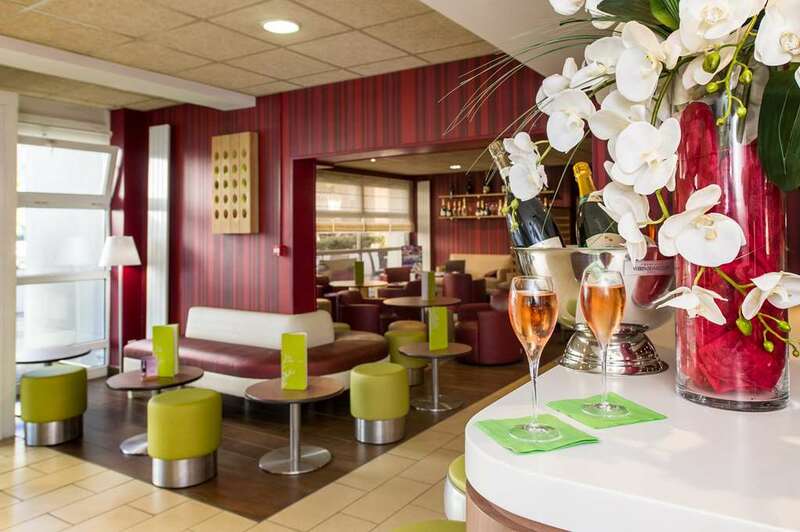 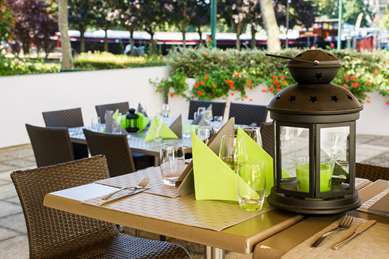 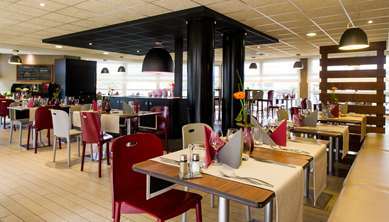 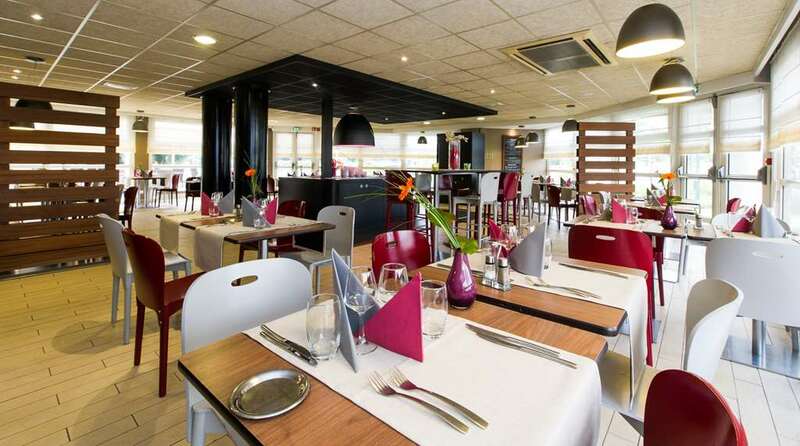 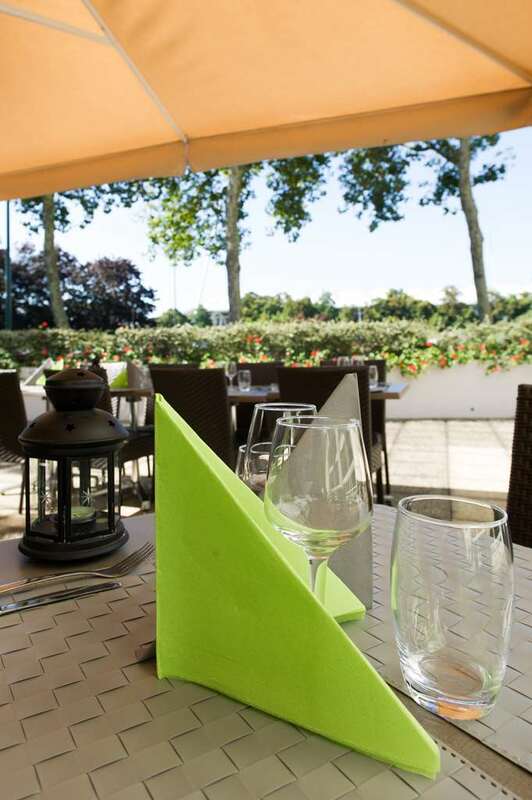 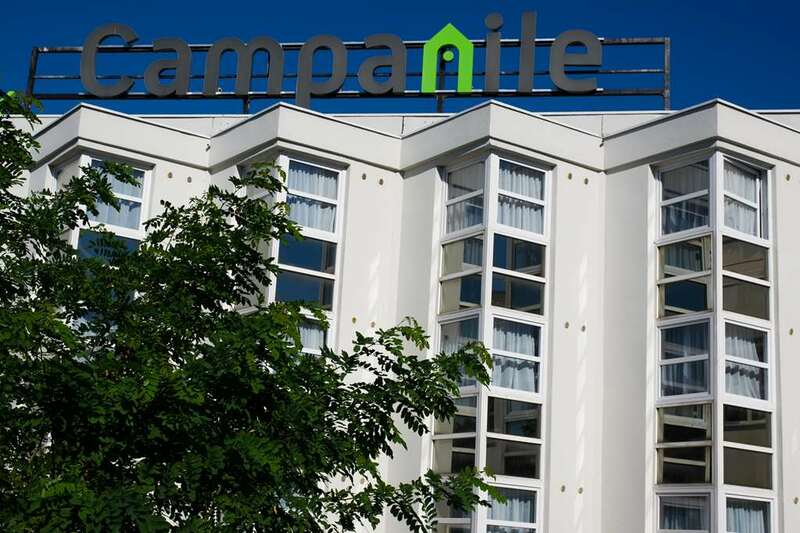 The Campanile Hotel & Restaurant Reims – Cathédrale has an advantageous location in the heart of the city, just a 15-minute walk from the central SNCF railway station and 8 km from Champagne-Ardenne high-speed TGV railway station. 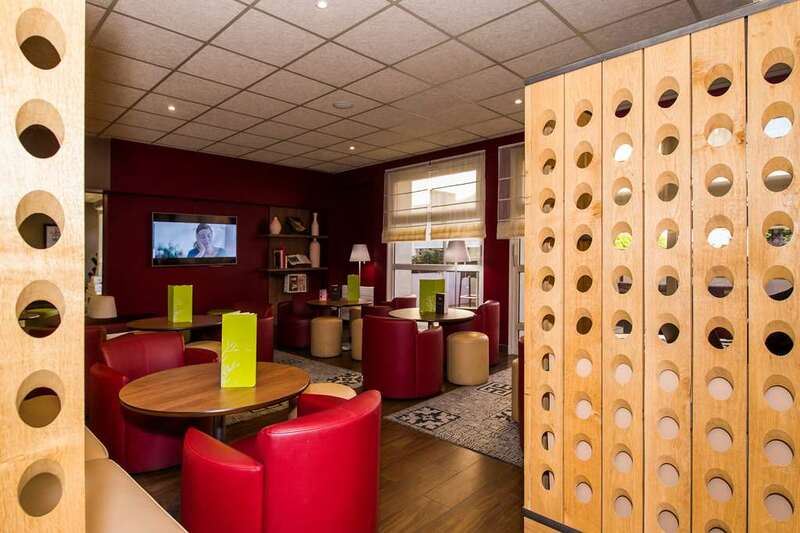 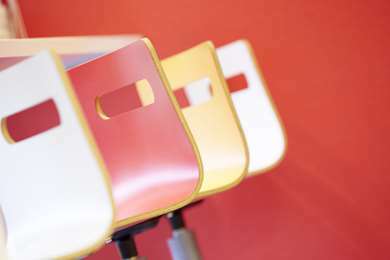 Our modern, contemporary hotel was completely refurbished in 2011. 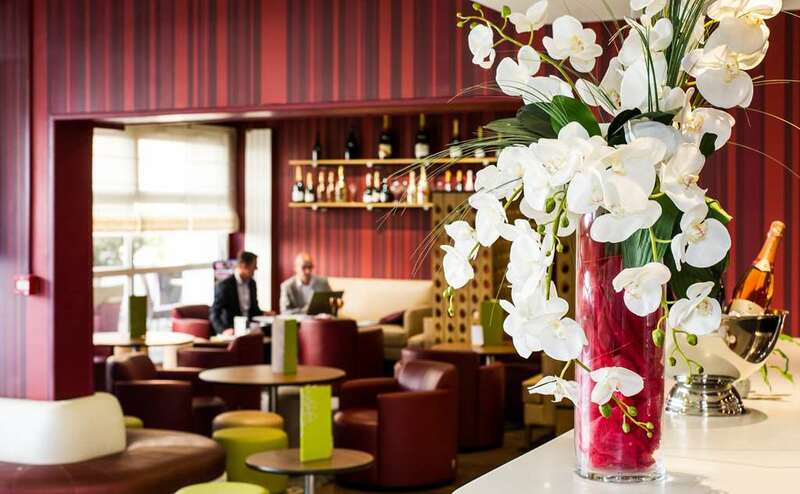 With lift access to 81 rooms on 3 floors, our 3-star hotel in Reims offers a 24-hour welcome, whether you're travelling for leisure or business. 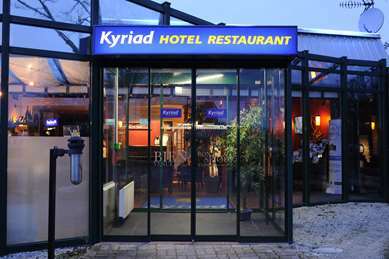 The hotel has a private underground car park, for which a charge applies. Your Campanile Hotel is a 5-minute walk from the renowned Notre Dame de Reims Cathedral, the Conference Centre, shops and the lively focal point of the Place d'Erlon. 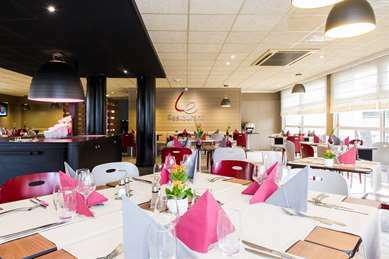 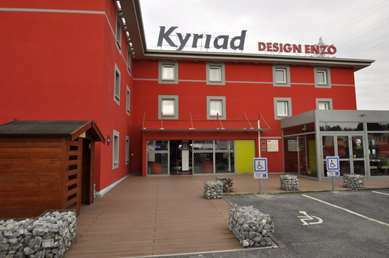 The hotel also has a restaurant, a lounge bar and 2 meeting rooms totalling 80m². If you are looking to organise a conference in Reims, or to hire a training room or meeting room in a venue designed to help you deliver your event, our hotel in Reims offers rates for day workshops, semi-residential and residential packages, accommodated in a modern meeting or conference room equipped with video projectors, flipcharts, television and free WiFi access. For food lovers, the restaurant offers contemporary dishes, and you can help yourself from our starter and dessert buffets. 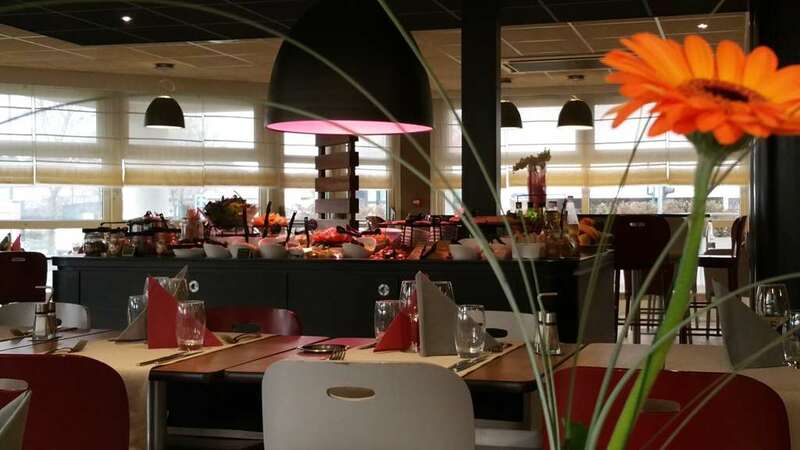 We also provide a tasty buffet breakfast. Reception is open 24 hours a day, so you can work, relax, or enjoy a selection of savoury and sweet dishes in our Lounge Bar throughout the day and evening. 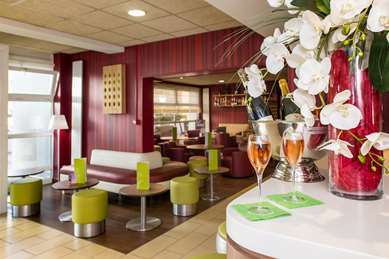 Our 3-star hotel in Reims has 81 double and twin rooms, as well as family rooms which can accommodate 3 or 4 guests. 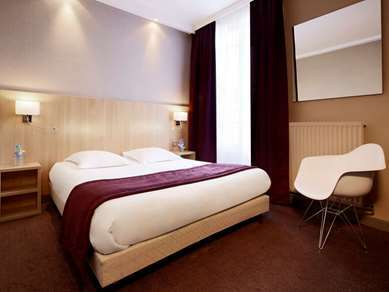 All our rooms are pleasantly decorated in a contemporary style and have a sitting area, air conditioning and a safe. The television has Canal+ and satellite channels, and there is free WiFi access. Our rooms are comfortably furnished, and tea and coffee-making facilities ensure that you can enjoy a hot drink in peace. 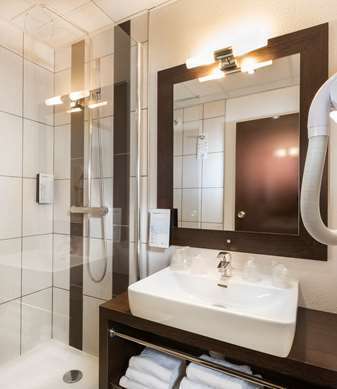 Our bathrooms are equipped with walk-in shower, hairdryer, and separate toilet. Your Campanile Hotel & Restaurant is accessible to guests with impaired mobility, with 3 rooms equipped to meet the needs of our customers in complete comfort and safety. All our communal areas are also accessible to those with impaired mobility. 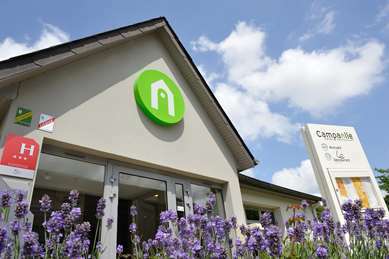 Available: 6.30 am to 9.00 am on weekdays and 7.00 am to 10.00 am on weekends. 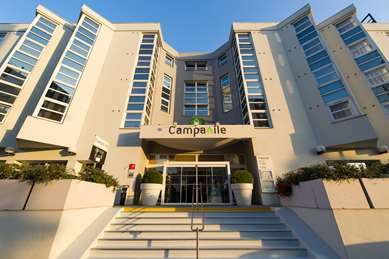 Le Restaurant Campanile satisfies all appetites with its à la carte dishes, set menus and sweet and savoury buffets. 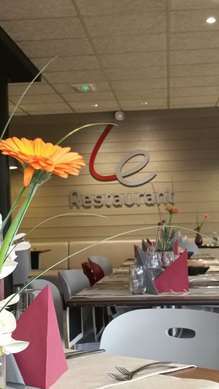 Our restaurant is open for lunch between 12.00 pm and 2.00 pm, and for dinner between 7.00 pm and 10.00 pm. 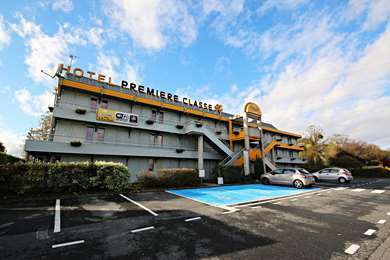 From Motorways A4 (E50) and A26 (E17) Exit 2 Reims - Cathedrale, then follow signs for city center and cathedrale (church).